TORONTO - Sept. 17, 2018 - PRLog -- Parquantix, a Standard Technology Partner in the Amazon Web Services (AWS) Partner Network (APN), today announced its sponsorship and participation at AWS Summit Toronto. The company will welcome attendees to its booth (#111) to demonstrate its solution and capabilities. Taking place on September 20, 2018 in Toronto, the AWS Summit brings together the cloud computing community to connect, collaborate, and learn about AWS. 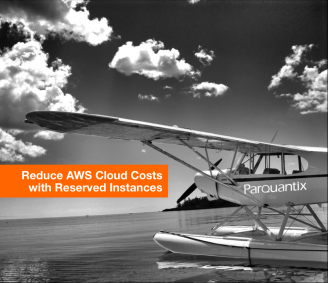 Parquantix helps customers optimize the utilization and reduce the cost of their AWS deployments worldwide through dynamic management of Reserved Instances. "This is Parquantix's first event in Canada. We are very excited to introduce our automated solution to cloud-centric Canadian organizations," said Jon Leach, Founder and Director of Technology at Parquantix. "As we manage over $40 million in AWS reservations worldwide, with a utilization rate of 99.4 percent, we look forward to helping Canadian organizations save significantly on their AWS deployments." As companies grow their deployments on the cloud with rapidly evolving technology, partnering with an organization with the right solutions and skills to navigate the complexity becomes paramount. Parquantix's participation at the AWS Summit Toronto will demonstrate to attendees how its solution and advisory services can effectively manage cloud costs and help them grow their business on AWS. Parquantix is an automated cost optimization solution for companies with deployments on Amazon Web Services. Companies in a multitude of industries from manufacturing to retail, financial services worldwide, utilize the solution's proprietary algorithm to monitor computing and database usage on AWS, and to optimize performance with active procurement and management of Reserved Instances. Dynamically selling unused AWS reservations, and leveraging volume discounts, its advanced technology creates substantial savings. Through advisory services and simplified consolidated billing solution, companies with AWS deployments can expect quantifiable results with a reliable and risk-free solution.